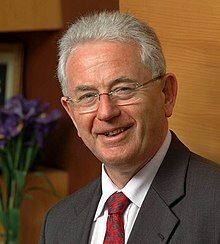 ^ "Richard Worth: Cullen appointment degrades office of Attorney-General". NZ Herald. 2005-01-05. ISSN 1170-0777. Retrieved 2018-02-20. ^ Noted. "Court marshal - The Listener". Noted. Retrieved 2018-02-20. This page was last edited on 29 March 2019, at 05:44 (UTC).